At least 442 people were put in prison, while 754 others were detained over the past 8 days, according to Turkish news agencies. Police carried out the operations in at least 24 provinces across Turkey. With most of the arrestees being businessmen, those arrested over the past 8 days also included civil servants, police officers, and high-ranking military officers. On January 13, Istanbul Public Prosecutor’s Office issued detention warrants for 73 women as part of an investigation into the Gülen movement, which the government blames for a July 15 coup attempt. 55 of the suspects were rounded up on Friday. On Jan. 14, Semra Turan, reporter for pro-Kurdish Dicle News Agency (DİHA) until it was shut down with a post-coup government decree on Oct. 29, 2016, was detained over terrorism charges in Bingöl province. 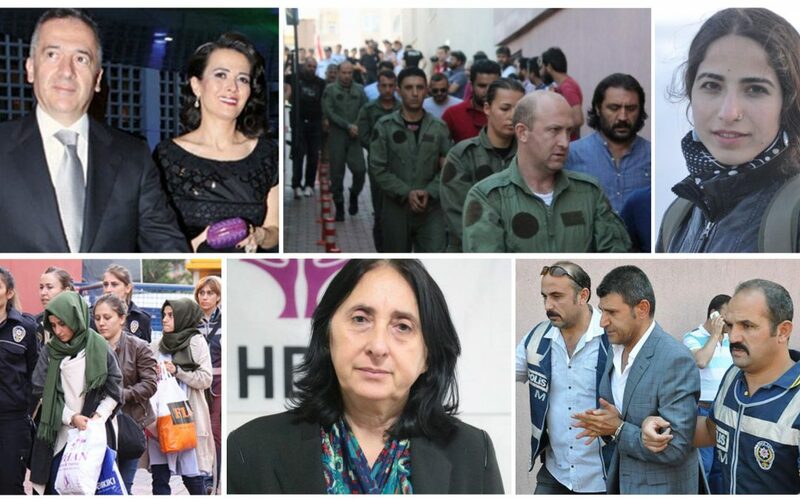 On Jan. 14, one of 11 jailed deputies from the pro-Kurdish Peoples’ Democratic Party (HDP), Nursel Aydoğan, was given a prison sentence of four years, eight months on charges of committing crimes on behalf of a terror organization despite not being a member of it. On Jan. 13, Turkish police detained prominent Turkish businessman Verdal Hosta as part of an ongoing investigation on the alleged followers of the Gülen movement. On Jan. 12, a total of eighty-four high-ranking military officers were jailed by a court on charges of using ByLock, a smart phone application that authorities believe is a communication tool between members of the Gülen movement. On Jan 12, a total of 38 police officers were detained in Kars province over alleged links to the Gülen movement. On Jan. 12, two more members of the Boydak family, prominent industrialists from the Central Anatolian town of Kayseri, were arrested in İstanbul, with Bekir Boydak jailed and his nephew, Mahmut Sami, put under house arrest, on charges of financing terrorism. On Jan. 10, twenty-one people who had filed legal complaints against President Recep Tayyip Erdoğan in the past were detained as part of operations targeting the Gülen movement. On Jan 10, twenty-six teachers were arrested in Turkey’s Malatya province as part of an investigation into the followers of the Gülen movement. On Jan 9, a total of 26 academics from the Diyarbakır-based Diyarbakır University were detained as part of an ongoing investigation on the Gülen movement.